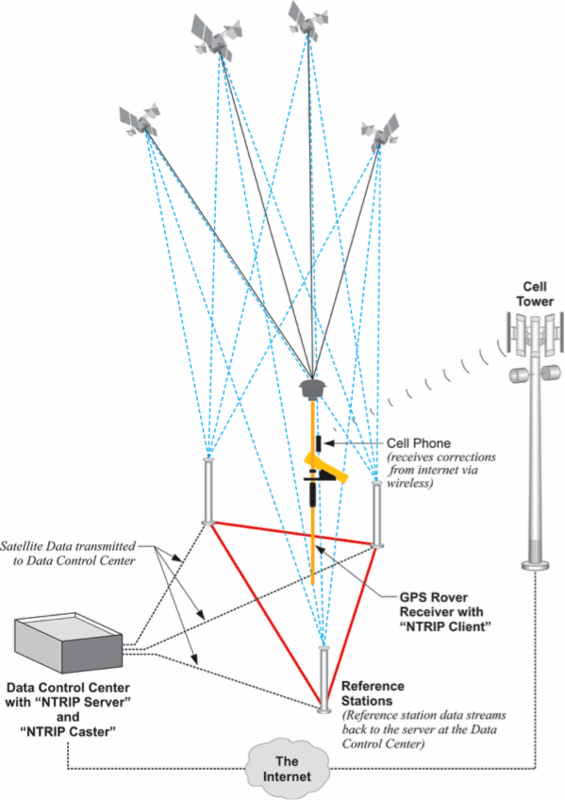 Most, not all, GPS surveying relies on the idea of differential positioning. The mode of a base or reference receiver at a known location logging data at the same time as a receiver at an unknown location together provide the fundamental information for the determination of accurate coordinates. Now, the most commonly used methods utilize receivers on reference stations that provide correction signals to the end user via a data link sometimes over the Internet, radio signal, or cell phone and often in real-time. Real-time kinematic (RTK) has become routine in development and engineering surveys where the distance between the base and roving receivers can most often be measured in thousands of feet. However, while RTK dominates the GPS surveying applications the requirements of setting up a GPS reference station on a known position, the establishment of a radio frequency transmitter and all attendant components before a single measurement can be made are both awkward and expensive. Real-Time Networks, RTN services have arisen around the world to provide RTCM real-time corrections to surveyors by a different means. There are definite advantages including the elimination of individual base station preparation and the measurement of longer baselines without rapid degradation of the results. This seminar is about making explaining some elements important to RTN operation and proposing some practical real-time best practices. If you're looking to book Dr. Van Sickle for a seminar, or any other inquiry, please fill out the form below, and your inquiry will be answered promptly.